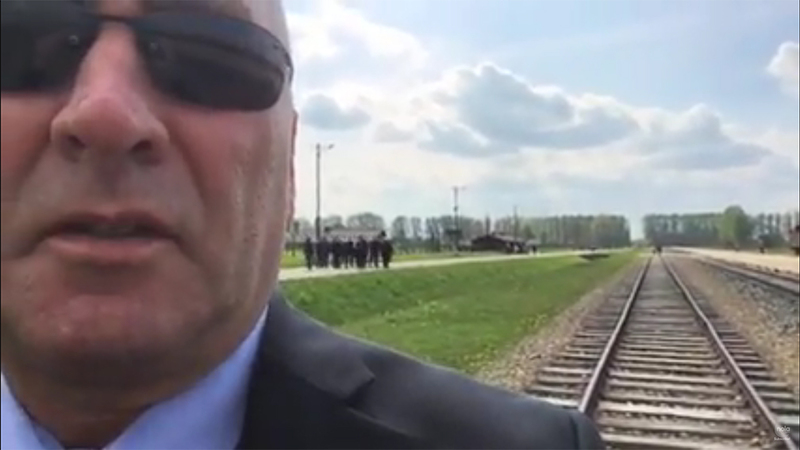 Louisiana Congressman Clay Higgins apologized for a video he took while touring the Auschwitz concentration camp and had posted on July 1. He has taken the video down, but it is still accessible on some news sites. In the video, Higgins tours Auschwitz, stating that “a great sense of dread comes over you in this place” as he walked past the display of victims’ shoes. Back outside, he added, “It's hard to walk away from gas chambers and ovens without a sober feeling of commitment — unwavering commitment — to make damn sure that the United States of America is protected from the evils of the world,” and said in this age, with greater worldwide mobility, it is easier for threats to reach the U.S. mainland. The Anne Frank Center for Mutual Respect, a little-known group until it criticized President Donald Trump a few months ago, called the video “disgusting beyond description” and Executive Director Steve Goldstein refused to accept Higgins’ apology.